Becky Fast appears to be the lone challenger to unseat an incumbent on the Johnson County Board of County Commissioners. 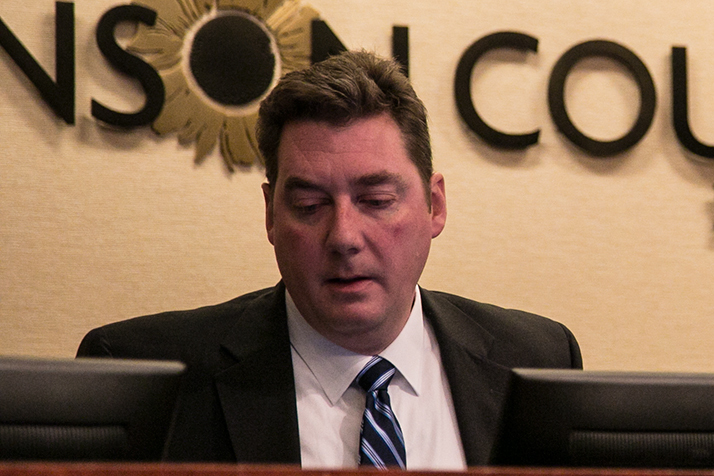 At least one of the seven seats on the Johnson County Board of County Commissioners looks to be changing hands. And another hangs in the balance. Unofficial final results from the District 1 County Commissioner race put Becky Fast 464 votes ahead of incumbent Ron Shaffer with a total of 46,533 votes cast. Fast, a social worker by training, said she is determined to get Johnson County to expand services for mental health and seniors. She’s also concerned about lack of affordable housing and increasing property tax burdens. Assuming the result holds after the addition of provisional ballots at the canvass Monday, it would represent the end of a long career in public service for Shaffer. Shaffer was elected to the Prairie Village City Council in 1989 and then became mayor in 1999. He was the longest serving mayor in city history when he ran for the County Commission four years ago, defeating former Mission Mayor Laura McConwell for the District 1 seat. Once seated, Fast would be the only woman on the county commission. Roeland Park city code dictates that Fast’s seat on the city council will be filled through a special election. District 4 incumbent Jason Osterhaus leads by 22 votes out of more than 40,000 cast in the unofficial final tally from Tuesday. While County Chair Ed Eilert and District 5 incumbent Michael Ashcraft easily held on to their seats, District 4 incumbent Jason Osterhaus will have to hope the addition of provisional ballots to to the unofficial total doesn’t alter the results if he is to return to the commission. The final tally reported by the Election Office Tuesday night had Osterhaus up just 22 votes on challenger Janeé Hanzlick out of 41,213 votes cast.